Time to get nifty and creative! If you spent the first part of the year hopping on the #MarieKondo decluttering bandwagon, perhaps it’s time to spark more joy into your home by adding life and colour to your newly tidied space. A great way to give your living spaces that lush, cosy ambience is to fill them with beautiful fresh flowers – and better yet, in arrangements created and styled by yourself. Because only you can add that unique touch to your indoor blooms! To get started, here are some tips on DIY floral arrangements so you can get that first bouquet going! A plain mug works with bunch of white daisies for a simple, country aesthetic. The best part about starting from scratch is having control over the entire look of your arrangement. This means you can put your personal touch by creatively using upcycled materials. Keep an eye out for unused jars, mugs, teacups or even rattan baskets that are lying around at home, and turn them into vases for your blooms. If you’ve got a chipped, old teacup that you no longer use, that could be the perfect accessory for a rustic vibe! 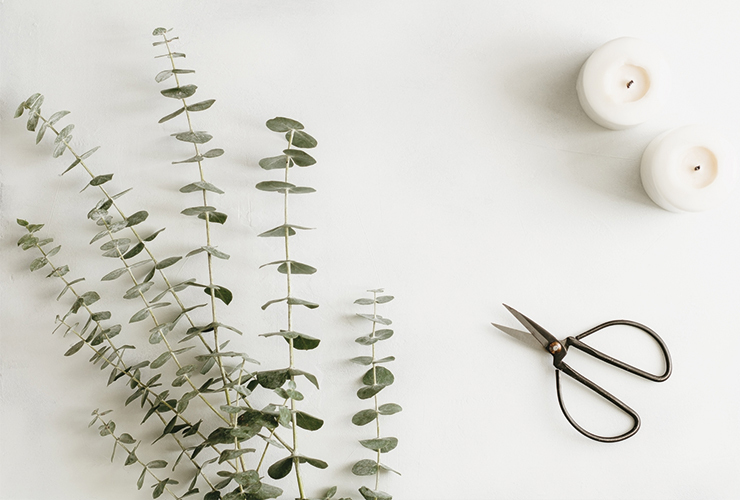 Before you start, have a handy pair of scissors and a penknife ready, as well as materials such as brown strings and ribbons to jazz up your flowers later on. Check out a range of affordable craft materials from Daiso and Popular Bookstore. Daiso is located at Eastpoint Mall, Waterway Point and Changi City Point. Popular Bookstore is located at Causeway Point, Northpoint City and Eastpoint Mall. Pretty in pink: Fresh Gerberas alongside Lilies and Roses from Freeman Florist. Don’t be too ambitious if it’s your first time growing indoor plants – aim to work with flower varieties that are hardy or those that can thrive in Singapore’s weather. Freeman Florist recommends Gerberas and African Violets as suitable flowers to grow here. We love how Gerberas never fail to brighten up a room, and how the dainty African Violets perk up any bouquet with their striking purple shade. Other flowers that do well in our tropical climate are Sunflowers, Jasmines and Frangipanis. 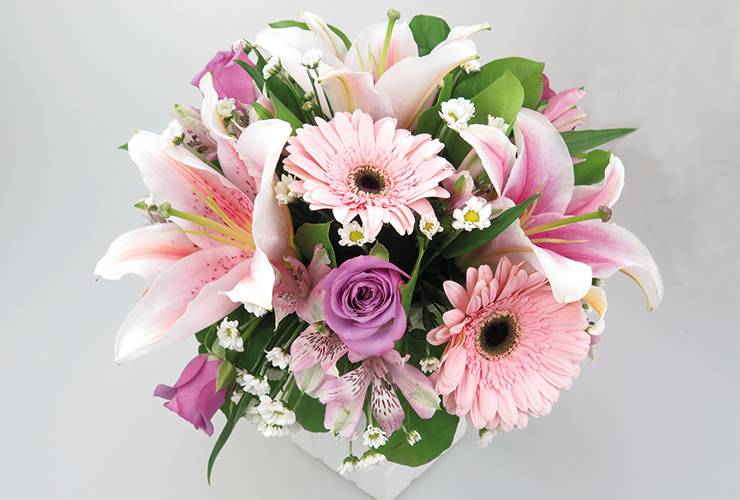 Freeman Florist sells main flowers such as Roses, Gerberas and Lilies by individual stalks, as well as side flowers like Baby’s Breath and Statice (sea lavenders) by the bundle. Prices range from $1 to $20. Download the "Freeman Florist Privilege Card" app and enjoy a 5-10% discount (min. spending of $35) with at least 2 points. Freeman Florist is located at Waterway Point. Xpressflower.com shows us how a simple arrangement with roses and accompanying greens work too! Image courtesy of Xpressflower.com. Be sure to also check out Xpressflower.com, which also sells loose stalks from $2 and flowers in simple wrapping from $6. Don’t miss their ongoing promotion, “Double for Nothin”, where you can get 24 stalks of red roses for the price of 12! Other deals to watch out for are their graduation special and Mother's Day early bird promotion. Xpressflower.com is located at Northpoint City and Causeway Point. Shop more fresh flowers at Floral Springs & Party located at Anchorpoint, and Floral Train located at Eastpoint Mall. Start with filling your chosen vase with room temperature water to the half-way mark, then pour in a packet of flower food. Cut the flower stems at an angle so they can better absorb the water. If the stems are too long, trim them so that they stand 1/3 above the rim of the vase. Be sure to strip out leaves that fall below the water-line as this will prevent bacteria growth. We think it looks like a mini Christmas tree and would be perfect for festive arrangements! For that lively, luscious effect, start off with floral greens as the base. 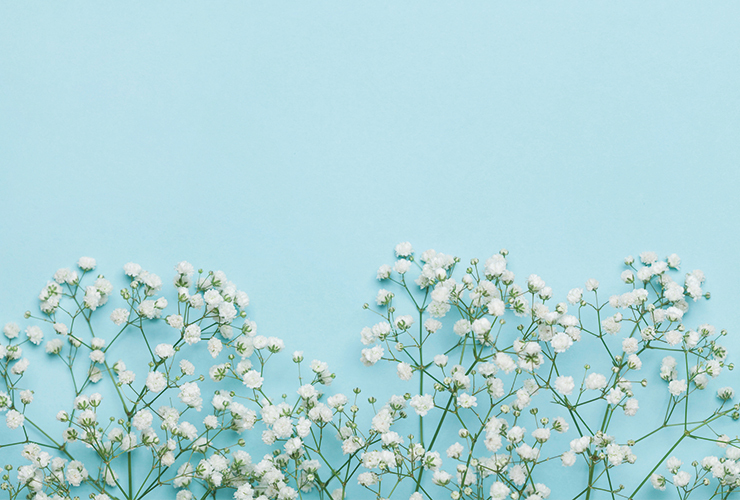 Popular greens used in bouquets are the Leatherleaf Fern and Eucalyptus Baby Blue. 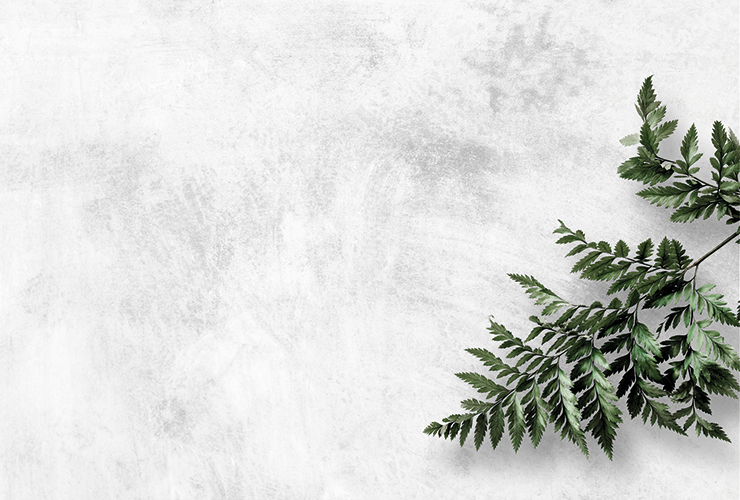 As one of the most commonly used floral green, the Leatherleaf Fern adds a beautiful texture and depth with its triangular-shaped web of leaves. Eucalyptus Baby Blue stalks will give your arrangement that light, bouncy feel. With a muted, blue-green shade, the Eucalyptus Baby Blue well balances out brighter blooms in a bouquet. Other than its elegant simplicity, this plant is also versatile and hardy, so it’s no wonder why they’re another florist favourite. If you end up with extra stalks of Eucalyptus Baby Blues, you could even turn them into a simple but fresh-looking arrangement on their own! Simply bunch them up loosely with brown string and store them in a clear glass bottle. To arrange the foliage, line the stalks in a criss-cross manner along the inner rim of the vase. Do this until you’re happy with the thickness of the foliage, but be sure to leave room for the flowers later on. A great floral arrangement showcases the right balance and contrast of various colours, textures and shapes. While you want the individual flowers to stand out, you also want to achieve a beautiful harmony in the entire arrangement. So, start off by playing with different sizes. A simple arrangement can consist of 1 main flower type and two smaller supporting flowers. For example, if the stars of your arrangement are Roses or Lilies, balance them out with smaller blooms like Daisies, Periwinkle flowers or Hydrangeas. Add flowers with smaller heads in first, criss-crossing the stems as well. Then, fill up the bouquet with bigger flowers, spreading them out a hands-width apart. Colour is another huge factor to bear in mind. Either go for a more uniformed colour palate with a wider variety of flowers, or explore more shades with fewer types of flowers. 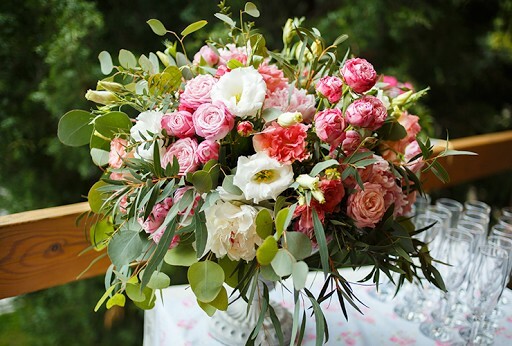 For example, if you’re creating a rose bouquet, you could have a mix of pink, coral and white roses while adding in fewer accompanying flowers. Lots of floral greens are used here for that lush, natural aesthetic. Floral arrangements with a wilder, less polished aesthetic are currently trending now and if you’re adventurous enough to try that, throw in Thistles or succulents for a bolder texture. Don’t be afraid to put bright, contrasting colours like red and yellow together! For an even more natural look, let your floral greens stick out in a slightly unruly way by cutting their stems at different lengths. Add the glorious, finishing touches to your arrangement! Your floral arrangement is almost complete – but not without some pretty filler flowers! Besides making your bouquet look fuller, they’ll add a whimsical touch to the whole look. Baby’s Breath is used most commonly as a filler flower because of its classic versatility. So, if you’re going for a sure-win look, this will be your best bet! If you’re looking for more colour depth, then try Lavender. Its delightful fragrance is definitely a huge plus too! Gently place the filler flowers in the gaps of your bouquet, while being mindful not to overcrowd the spaces. 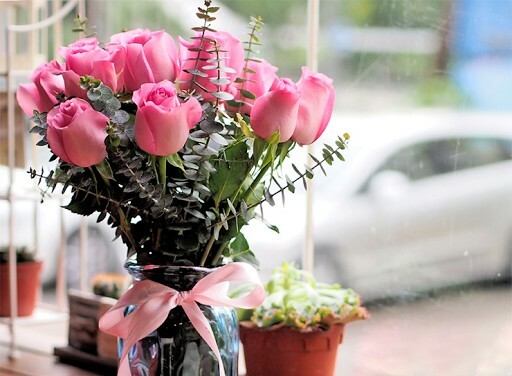 Once your flowers are all set, you want them to remain fresh for as long as they can. A few simple tricks and some diligence will go a long way in prolonging the lifespan of your blooms! Ensure that your vase is always clean, and change out the water and flower food every two to three days. 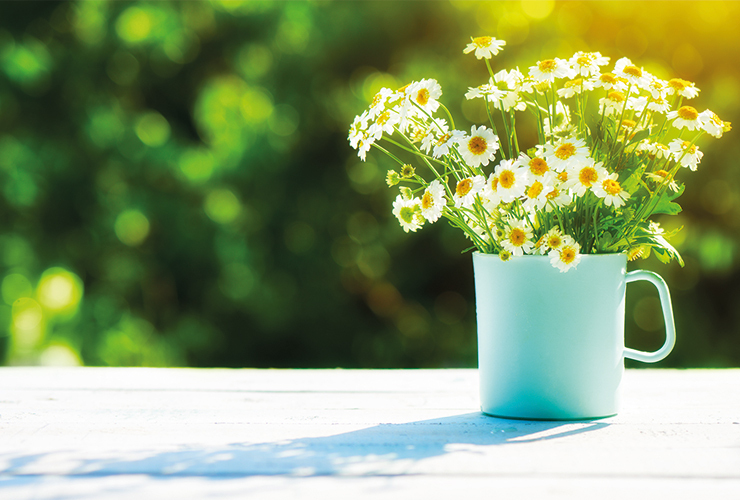 To prevent your flowers from dehydrating, keep them away from direct sunlight and appliances that emit heat. Another tip you may not know is to avoid placing your flowers near fruits, as ripening fruits release ethylene gas which would cause them to wilt and brown. Now with these tips, it’s time to get your green fingers to work! Remember that every floral arrangement will be beautifully unique – flaws and all. So, keep experimenting and trying!